Not so much the pool, it’s my buddy can use his points to pay for the hotel where it’s a Marriott family hotel. I looked on the map also and really didn’t see any access trail close to it but didn’t know if anyone had any experience with it. In the really early stages of next winters trip to Quebec and was wondering if anyone knows if you can ride right from this hotel to the trails. Looking at this area to stay and do day trips for the week. Thanks in advance for any feedback. Questions about riding in New Brunswick? Yeah I agree on the Quebec trail system also but I thought I’d at least check out the NB area, but I think we’ll stick to the Quebec system thanks for the replies though. Our loops are usually anywhere from 200-250 miles. Looking for somewhere where we can do 6 days really don’t want to move around to different places to stay that’s why we like those areas in Quebec. Just thought we’d look into doing something in New Brunswick but maybe we’ll have to stick to Quebec , not that that’s a bad thing! I know that this is the QR site but was wondering if there are any areas in New Brunswick that are comparable to Saguenay or Rivière du loop as far as staying at one place and doing day trips? Can’t seem to find much information on it anywhere online so I figured I try here. I’ve done those two areas and there probably hard to beat, but was kinda wondering about NB areas as well. Thanks in advance. Terry. Buddy and I are arriving at the Delta Saturday for the week as well, this will be our first time in the area also. 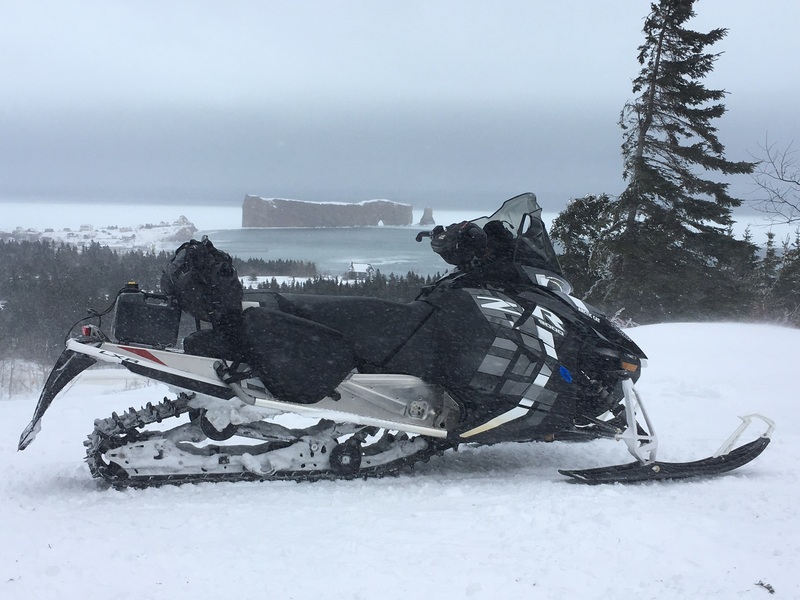 Yes I love reading your posts about your trips there always very informative and interesting I’ve learned so much about snowmobiling in Quebec just from that. Thanks for the information and I definitely will be digging out maps and plan some trips. When in RDL the loops we did were about 200-220 miles so the loops in this area sounds similar. Thanks again for the information! QR is a great site with awesome people willing to give great info to fellow riders!! Terry. We’d be going in the middle of February so maybe we wouldn’t have that problem, we don’t have the wheels on the skis so it definitely would be tough on the Skaggs! Other than that how’d you find it? For the past 3 years a buddy and myself have been going to RDL and riding. 1st year we did day trips out of the universal, 2nd year we did the gaspee loop, this year we did day trips again from the universal. We both love this area but we’ve decided we’d like to try a different area of Quebec. I’m always reading different posts on QR site but I don’t post very often. I guess that makes me a troll. lol! We think we’d like to try this area and do day trips. I keep seeing people mentioning the Delta hotel and was wondering if this would be a good place to ride out of? Does the trail go right from the hotel like the universal?If I read correctly there’s secured parking for sleds and truck and trailers. Appreciate any and all the advice I receive. Thanks! Advice and recommendations for Levi’s area. Just got home yesterday from spending a week at the universal hotel in riviera de loupe doing day trips, over 1,300 miles and I love that area. Last year we did the Gaspee leaving from the universal hotel and 2 years ago we also did day trips from the universal. Now for next season we’re thinking about exploring the Levi’s area and doing day trips from there. Just looking for advice on accommodations for the week, was checking out Hotel Berriners which looks nice and says you have trail access. Any advice on loops to do would be helpful to. I know it also has to do with the conditions also. I now next season is a long way away but it never hurts to plan ahead! Thanks in advance for any information. Thanks for the input,I think we’ll try the select this year! Thanks Iceman, probably rode right by it last year but just don’t recall seeing it. Snowing pretty hard when we got there and about two feet of fresh snow the next morning!! This is great news, looks like our first saddle bag trip of the gaspee starting 2/11/17 from RDL is back on. Thanks!